The ultimate goal of studying hard is to get a job. But many of the bright students who are intelligent in their studies fails in interview round. The aim of this post is to provide some basic interview tips for freshers which help them in clearing their job interview successfully. While giving an interview the main concern of the interviewee is to impress his/her interviewer. 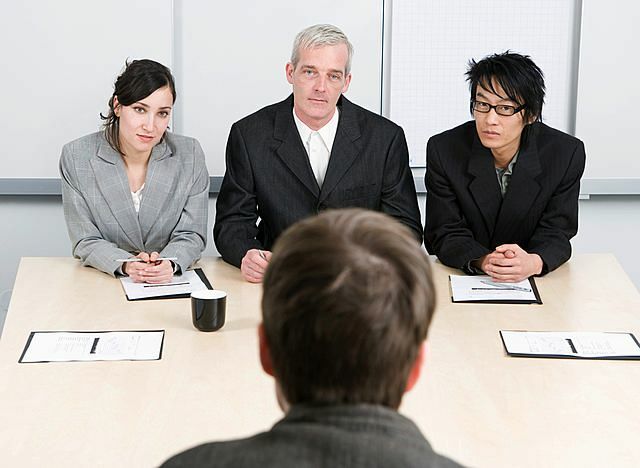 So here are some basic interview tips for freshers that help you in clearing your interview. Before attending any interview for any company, make sure you know enough about the company and you are willing to work in this company. To do this, Go through the history and the present position of the company. It will help you to understand them and make you more confident. A resume is the main intangible tool to get a job. Prepare your resume according to the job profile the company is offering and highlighting your strength required for the job. Remember one thing, that the points you are mentioning in it should be the ones, you are really intended to. This should not be bombastic and not be false just to impress the interviewer. Practice the way of your speaking and answer the questions which are often asked. Improve your communication skill. If you are good at communication, half of your job is done. In today’s rushing world, no one can waste their precious time for waiting for someone. So arrive five-minute early. So that you can relax there. It will also depict your punctuality. Your dressing sense is the mirror of your personality. It defines the society you belong to. Dress like you are a part of them. Always wear a formal suit. Black trouser and a white shirt would be the best combination. Avoid wearing colorful shirts and trousers. Look like a professional. The disturbance is not acceptable in any form and the job is more important than your one call or a message, so turn off your phone before entering. Give an answer with such a great feel so that interviewer can feel your enthusiasm for the job in your voice only. It is required to have an eye to eye contact with the interviewer because it shows your confidence and your honesty. People like natural things more than man-made. Be natural in front of the interviewer. Don’t try to copy an accent which you will not able to continue after some time. Try to connect yourself with them, show your interest that you want to be a part of their family. These are some basic interview tips for freshers; if you want to clear your interview successfully then you must have to follow all the above tips. Q3. What are your salary expectations? Q4. Which is more important to you money or growth? Answer such questions clearly and to the point. Don’t try to explain them like a story reading, do not be argumentative while answering, address politely and with confidence. We all know the importance of prestigious jobs in our life and it’s not easy to grab such jobs for the first time. These are the basic interview tips for freshers. So, if you really want to clear your interview then must remember all the above points. Do share your view how you like our article on basic interview tips for freshers. i will try to execute this in the coming days.. I feel that interview tips and tricks come in handy. Especially, for the freshers. This is one blog where some practical and useful interview tips and tricks are shared.I benefited from them, hope you would too. Yes sometimes students have good grades but fail into interview and finding a job after graduation is tough, and getting into the “real world” means you must have a whole new mindset of an adult and face more competition in the job market that might be ever before.i am sure if someone follows these tips he/she will surely get benefits from this.Thank You. Well, your blog is quite interesting and helpful. I just loved reading your blog. Thank you so much for these tips. This would help many people around who are facing interview problems. i have been following your guide from last few days and i gave couple of interviews and hoping for the best results but thank you for guidance. Thank for sharing..
All the tips or advice u given above are amazing. These are the basic things we should know whenever we are going to give an interview. interview , just read all the points above. Hi Mohit, How are you? Well, your blog is quite interesting and helpful. I just loved reading your blog. Thank you so much for these tips. This would help many people around who are facing interview problems. i have been following your guide from last few days and i gave couple of interviews and hoping for the best results but thank you for guidance .